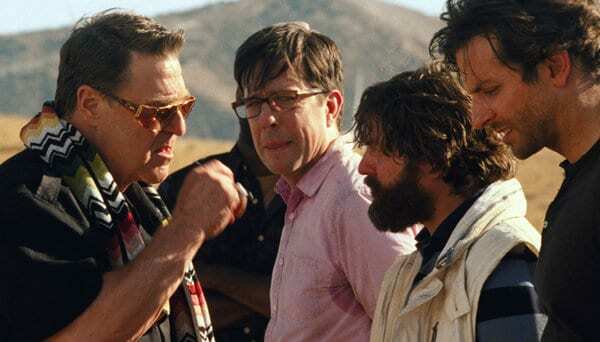 There’s no way any fan of the first Hangover film can honestly claim that The Hangover Part III is as much fun. And yet, with all its shortcomings, you have to admit The Hangover Part III contains more of a plot than the earlier films. There may be fewer surprises and not so many laugh-out-loud moments, but its twist-filled storyline ensures that you’re seldom bored.I’m going with two-and-a-half out of five for The Hangover Part III. Keep your expectations in check, and you won’t come out entirely disappointed. It’s not often that you come out of a film feeling grubby, like you need to take a shower or partake in something cleansing like a yoga class. But that’s exactly how I felt after watching The Hangover Part III.fter seeing part 2, I like many other critics had complained about the lack of originality. But after seeing part 3, I just wished that director Todd Phillips had stuck to formula. Because this film is depressingly unfunny and almost sad in its desperation to make you laugh by pushing the limits of bad taste. While the film is undoubtedly better than the previous instalment, it’s not an out-and-out comedy as one would expect it to be. The jokes don’t come in as often and they aren’t as raunchy. Most of the humour is subtle and comes from your knowledge of the characters, their reactions to situationsthan their shenanigans. The WTF moments are comparatively less. Hangover 3 also takes us back to Vegas for the climax, where it all began.Honestly, what follows is more enjoyable – the end credits! Do not leave the theatre as soon as they start rolling. They say third time’s a charm. But that isn’t the case with Todd Philip’s latest instalment of The Hangover series. Like a stand up act that falls flat if the jokes are rehashed over a period of time, the film too seems to have overstayed its fame time and got into a rut. The problem lies with the film’s material. A half-baked script and constant references to the gags from the previous films makes the effort look dull and forced. Also the ‘wolf pack’ despite having the same characteristics don’t seem to have the chemistry they had before. The Hangover Part III, which runs a different sort of risk by going to darker and more dangerous places than its predecessors, both artistically and emotionally. It dares to alienate the very audience that made The Hangover the highest-grossing R-rated comedy of all time because, well, it isn’t exactly a comedy.Phillips and co-writer Craig Mazin have placed the unusual challenge on themselves of trying to create something bold and new while simultaneously remaining true to the trilogy and wrapping it all up in a satisfying way. They succeed somewhat; simply trying to be creative marks a huge improvement from part two. The concluding film of the Hangover trilogy is definitely more entertaining than the second film but nothing beats the shock value of the original. Now that the characters are already defined and developed, the series ends with a film that is still funny in parts, surprisingly emotional in places but a crazy ride nonetheless. All in all, it will be really funny for folks who love these crazy characters, otherwise just plain amusing. Watch it if you really want to know what happens to the wolf-pack in the end. Verdict: Amusing but not entirely hilarious. Watch if you are avid fans of the wolf-pack. The Wolfpack rides again. Or rather, it limps exhaustedly over the tundra in what is billed as the final edition of the “Hangover” trilogy. Defanged, with glazed eyes and creaking joints, these superannuated party animals try vainly to stir up some enthusiasm during a return visit to Las Vegas, the site of the first “Hangover” movie. But their heart isn’t in it. Only in a sight gag during the final credits is there a momentary flare-up of the old antic spirit. Otherwise, “The Hangover Part III” is dead. Goodbye and good riddance.